The teacher Gregory comes from England. He has been teaching for 8 months in Cambodia, China, and Vietnam. Gregory currently lives in a small town called Trang bom which is in Dong Nai province. This is a very green area with a good transport system. It takes 1-2 hours to reach Ho Chi Minh city from this place. 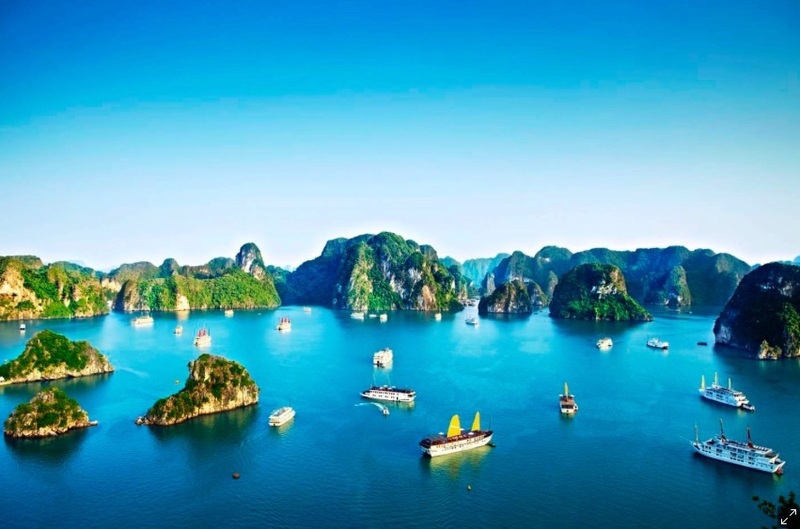 "Is Vietnam interesting country for tourists? ", asked I the teacher. "No", he answered. "It is a WONDERFUL country!" This is a list of sightseeings which we discussed during the class. Sapa is a great place for hiking around the mountains. Sa Pa is a town in the Hoàng Liên Son Mountains. A popular trekking base, it overlooks the terraced rice fields of the Muong Hoa Valley, which is climbable via a steep, multi day guided walk. 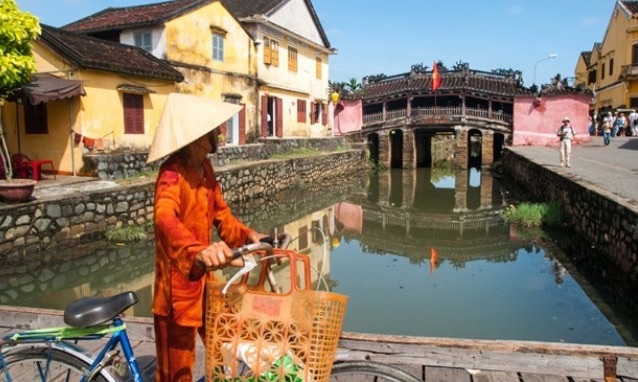 The example of advertising "SAPA 2 days 3 nights Trekking by train"
Ho Chi Minh City (commonly known as Saigon) is a city famous for the pivotal role it played in the Vietnam War. It's also known for its French colonial landmarks, including Notre-Dame Cathedral, made entirely of materials imported from France. The great overground subway will connect Ho Chi Minh city with suburbs. The city Dien bien phu is best known for the events which occurred there during the First Indochina War. 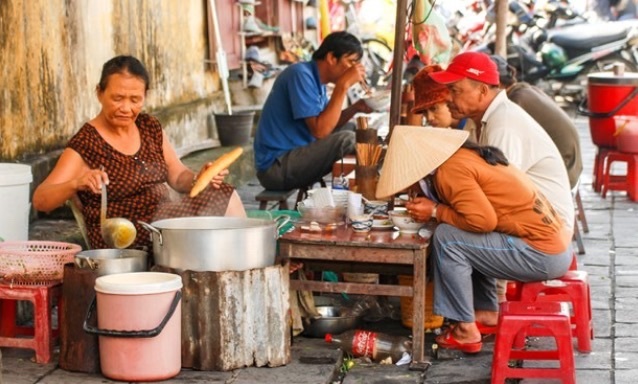 Hanoi, the capital of Vietnam, is known for its centuries-old architecture and a rich culture with Southeast Asian, Chinese and French influences. At its heart is the chaotic Old Quarter, where the narrow streets are roughly arranged by trade. There are many little temples and many other sightseeings in Hanoi. 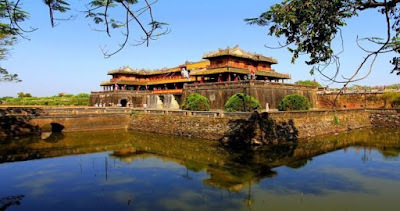 Hue city is a city in central Vietnam that was the seat of Nguyen Dynasty emperors and the national capital from 1802 to 1945. A major attraction is its vast, 19th-century Citadel, surrounded by a moat and thick stone walls. I asked Gregory about his everyday life in Trang bom. 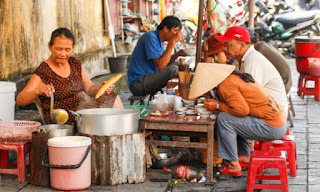 The teacher said that he has a great opportunity of living in the place which relatively remote from the tourist's tracks, where the street food more widespread than restaurants. He mentioned a few traditional Vietnamese dishes. Pho is a noodle soup consisting of broth, rice noodles, a few herbs, and meat. Mi quang is a noodle dish. Bun bo is a popular soup containing rice vermicelli and beef. Compared to pho, the noodles are thicker and more cylindrical. Vietnamese people are very friendly. Being native English speaker makes the person even more welcomed because everybody likes to test their English with them. When Gregory is in public place the locals often come and ask just to speak in English. 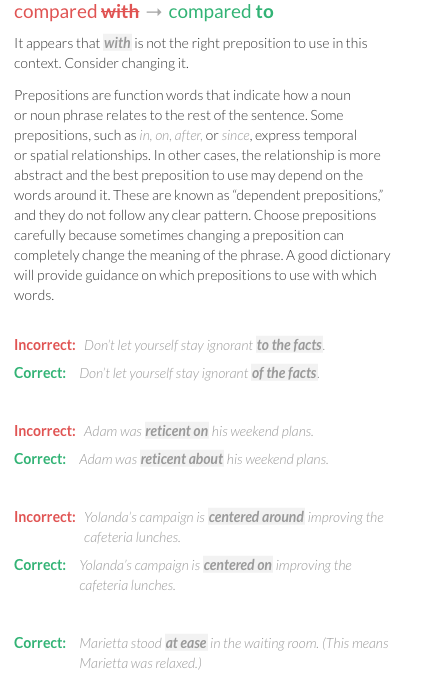 There are 40-45% of people who can speak English. As the main basic food. Gregory mentioned rice and Pho fish. The fish is delicious, a portion of fish costs only one or two US dollars. For my question about if it is difficult to change western cousin to Asian, Gregory answered honestly that sometimes he would prefer a hamburger. During his spare time, Gregory hired a motorbike for Danang hai van pass. It is 19 kilometers of roadway in mountains. It could be dangerous. In average 28 people die on the roads every day because there are 10 million motorbikes in Vietnam and drivers often break the rules of driving. On the 6th January 2017, we had an interesting conversation on verbling.com with Hùng, who is from Vietnam. 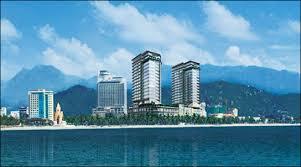 Hùng lives in Nha Trang city which is located on the South of Vietnam on the coast of the Indian ocean. This is a general view to Nha Trang city. We can see here the beach and cityscape. The number of tourists less than average probably because this photo was captured in the evening. We can see a lot of buildings under construction in the background. The tower in the middle of the picture is used for entertainment of tourists. Vietnam’s first sea-crossing cable car system. One boat uses for 8 people for delivering tourists to the mountains. One ticket costs 30$. 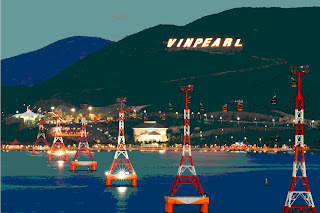 It takes 10 minutes for crossing from the city to Vinpearl island. 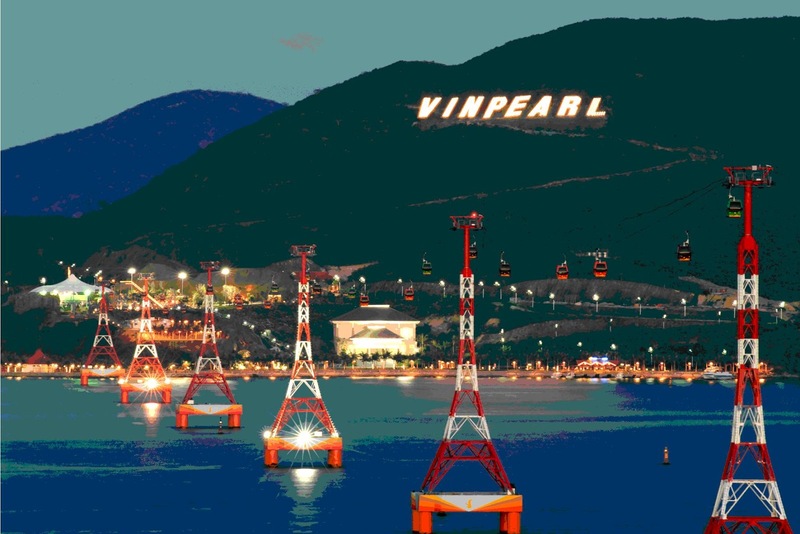 Nha Trang’s answer to Disneyland, the island resort of Vinpearl Land has fun-fair rides, an impressive water park, arcade games and plenty of other attractions to keep the kiddies amused. You approach the amusement park via a 3km cable car ride over the ocean.